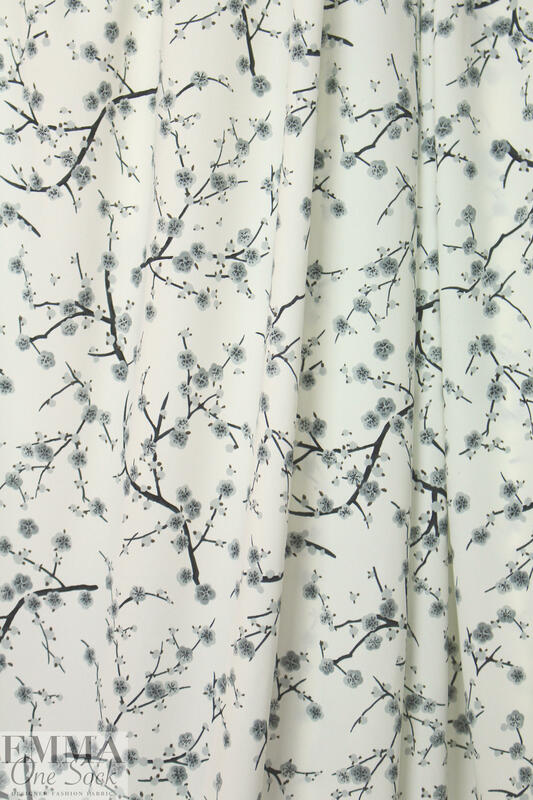 This is a lovely 'evening blossoms' print on a wonderful new technology polyester woven that mimics the qualities of silk or drapey viscose-rayon: tightly woven, lightweight with a flowing, soft drape, and a matte finish. 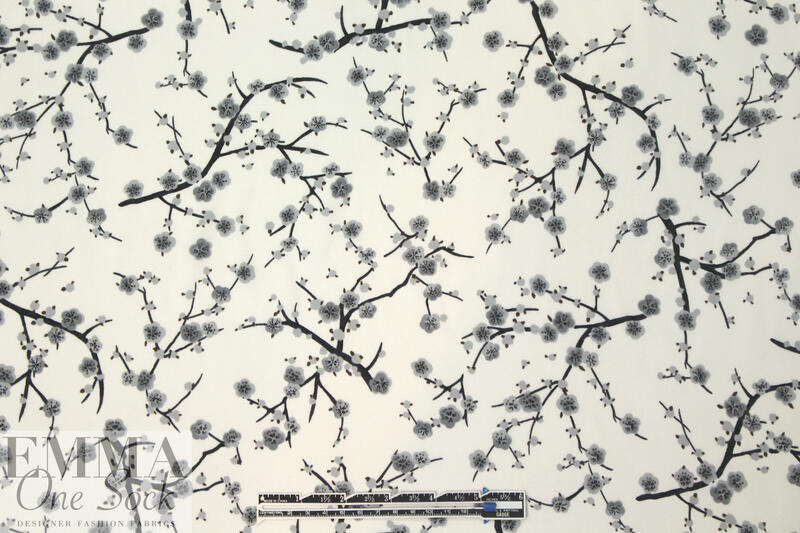 The floral design features gray, black and mocha blossoms and branches on a cream background (PANTONE 14-4103, 19-0809, etc.). 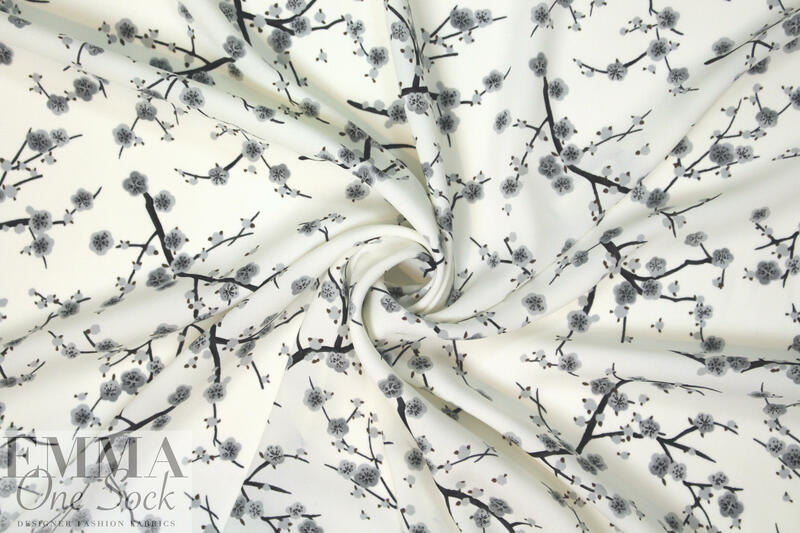 Perfect for a blouse, top, tunic, dress, skirt, etc. 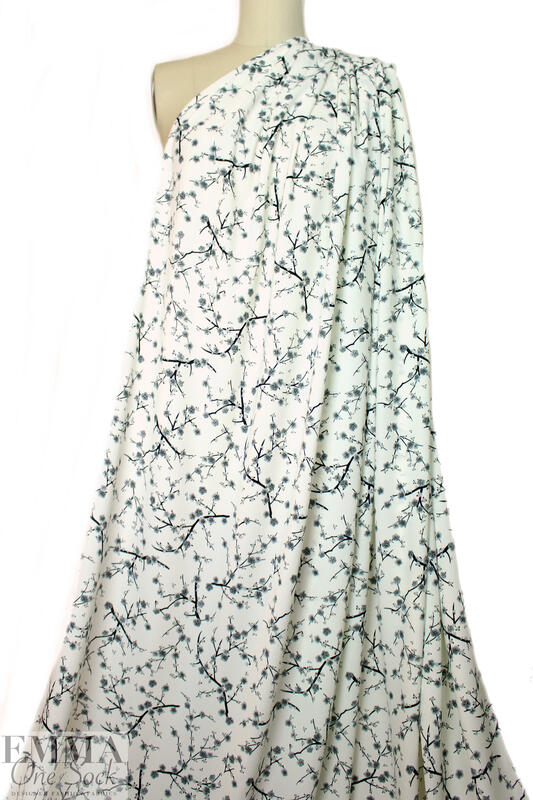 It is nearly opaque, but lightweight so some styles may need lining or layering. Manufacturer recommends hand wash, hang to dry.